session...benefiting dogs of all ages, temperaments and stages of health. with dogs and participating in their wellness. Bodywork & Communication. They combine their decades of experience and a life-long kinship with animals. 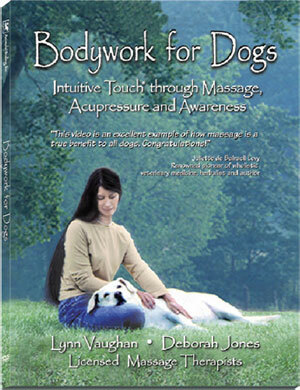 "This video is an excellent example of how massage is a true benefit to all dogs. improve the quality of life for their pets." of the special dogs in their lives." Animal Wellness Magazine, Body & Soul Magazine, among many others!